Climbing Team At Nationals! - NEW!! FREE CLINIC! 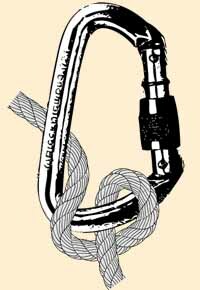 : Climbing Knots - NEW!! FREE CLINIC! 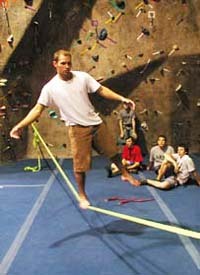 : Slacklining - NEW!! SALE! : Used Rental Shoes - NEW!! RESOLE: Cascade Cobbler - Climbing Shoe Resole - NEW!! Congratulations to the Edgeworks Climbing Team, they competed at Nationals in Sunnyvale, California! The Edgeworks Climbing Team went the distance this year and now 4 of our climbers are nationaly ranked. Great Job! Join us for a fun evening of Slacklining! Never done it before? Our staff will teach you how to keep your balance on our slackline (tightrope of webbing) set up in the gym for the evening. It's fun to watch, and even more fun to do as you build balance in your body! * A great way to hang out and have fun! Edgeworks has replaced many of our rental shoes and the used ones are now ON SALE at rock bottom prices! * The Docon is a comfortable all-around shoe with a symmetrical and rounded toe profile that will accommodate various widths of feet. 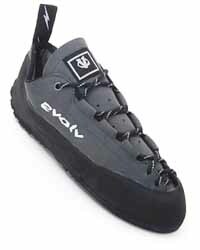 * Comes with UPR (Upper Protector Rand); inspired by internal cap work boots and old big wall boot designs, Evolv equipped the Docon with an extra upper protector rand underneath the primary rand to protect the critical front toe area for bomber durability. * Highly recommended for entry level climbers. NOTICE: Petzl America has announced a new technique for belaying a leader when using its GRIGRI self-braking belay device. As a tried and true belay device for sport climbing, the GRIGRI is used by many and often times dangerously mis-used through improper belay technique. Petzl has introduced the new lead belay technique for GRIGRI's in response to this potential misuse (which can and has resulted in accidents). Careful belay technique is important with GRIGRI's; they can and potentially will fail with improper use. Check out Petzl's video on the new GRIGRI Lead Belay Method! Registration of our 2008 Youth Summer Camps has begun! Edgeworks Climbing is proud to offer week long summer camps and two day Family Camps for beginner, intermediate and advanced climbers of all ages! 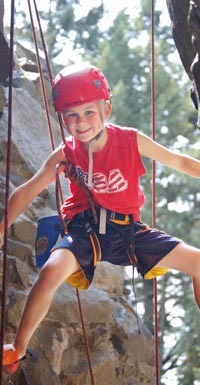 Whether you're looking for a camp to introduce your children to the sport of rock climbing or you're looking for a fun outing for the whole family, Edgeworks' summer camps are a fun and safe way to enjoy the sport of rock climbing this summer! For more information and registration please call 253-564-4899. Whether you want to do your first pull-up or send your first 5.12, if you have a goal, the Adult Training Team is for you! Taught by our professional coaching staff, this training group meets twice a week for a 2 hour session designed to amp up your climbing. Course focuses on fundamental climbing skills and targeted training to eliminate your climbing 'weaknesses'. 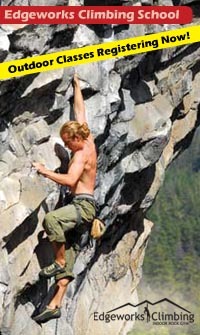 Summer is in full swing and it is time to learn the essentials to outdoor climbing. The Edgworks Climbing School will help you achieve all your outdoor (and indoor) climbing goals and aspirations! For many, aid climbing is the final step to climbing the big walls. Aid climbing is heavy in both gear and the skill to use it in a safe, efficient manner. This class will teach you the gear required to aid both on lead and to second..
Resoling Is Back At Edgworks! 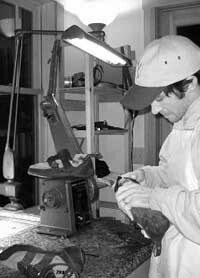 Cascade Cobbler will be working with us to resole your shoes. We ship out shoes twice a month on the 2nd and 4th Wed. Average turnaround time is a week and a half. Ask at the front desk or check out their website, cascadecobbler.com, for more info. 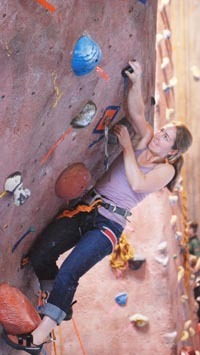 Ladies - Come on in and climb, after 5pm at a discounted rate. Meet lots of new friends and climb hard with old friends. $9 Day Pass. First Friday of each month. 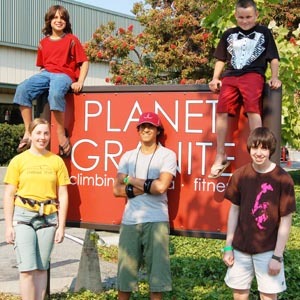 Bring the whole family and meet other climbing families! First adult family member pays full price ($15 day pass), additional family members pay $5. Third Friday of each month. Edgeworks salutes our active military with a night of climbing just for you! Day passes are $9 with a valid Military ID. Fourth Friday of each month.